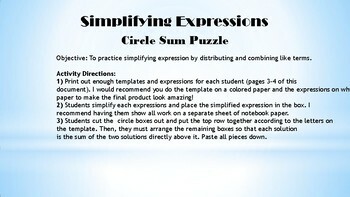 Students will get to practice simplifying expressions by distributing and combining like terms with this circle sum puzzle activity. Simply give each student the template and set of problems. 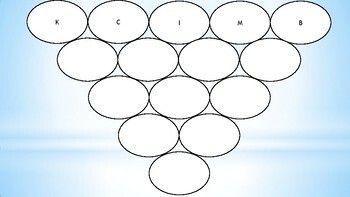 They simplify each expression, cut out the boxes, then paste them onto the template so that each simplified expression is the sum of the two simplified expressions directly above it.